In 2011, PIAS Group’s head of digital marketing Darren Hemmings left to set up his own consultancy, Motive Unknown. Originally conceived as a solo freelance affair, seven years on the company has expanded to six people, working with a range of artist, label and non-music clients. Hemmings talked to Music Ally about how music marketing has changed; why owning your data is ever-more important; how merchandising is the new frontier for digital marketing; and his concerns about Spotify’s instincts to control. “Everybody feels they’re time-compressed. Whether we’re working directly with artists or with labels, a recurring factor is that people don’t have time to explore the options and to really ask if what they’re doing is right,” says Hemmings, on one of the trends driving Motive Unknown’s business. That’s a change from the early days of the agency, when Hemmings was mainly an outsourcing shop, running the mechanics of campaigns for labels. Over time, a bigger-picture strategic role has materialised for his company. That touches on some of the themes that he has talked about on conference stages, and written about in the introductions to his daily news digest. For example, the question of labels and artists controlling their own data, often through investing time in their own mailing lists rather than simply relying on social networks for their communication to fans. “My whole background is quite punk rock: Fugazi, DIY labels and so on: that sense that you can absolutely do it yourself. And that did bleed through slightly into a mentality that I still have, where I can see it a mile off when people are surrendering control,” he says. Hemmings has spoken out before about the inadvisability of, for example, paying several thousand pounds to an advertising agency to run campaigns for an artist if the agency then owns the remarketing data on that artist’s fans. “It’s smarter and more cost-effective to use your marketing budget to drive people in to the channel that you own, such as email. The lifetime value of a person on your email list is significantly greater than what you spend on trying to drive a sale,” he says. Hip-hop duo Run The Jewels, who are one of Motive Unknown’s clients, are the epitome of this: using their mailing lists and well-honed remarketing campaigns to great effect whether they’re telling fans about music, merchandise or branded beers. 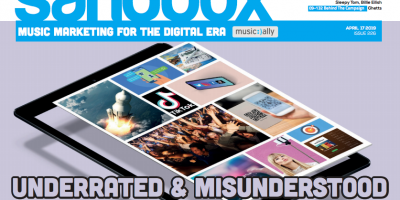 Hemmings says that lessons from those campaigns, as well as Motive Unknown’s work with brands outside the music world, has made him enthusiastic about the potential for digital marketing to help merch become an even-more significant revenue stream for artists. He praises the established music-merch companies for building healthy, profitable businesses, but suggests that their primary focus remains selling products to fans in live venues. Motive Unknown has been working with some of its clients to try to dislodge entirely-unlicensed merch platforms – the kind that sell clothing “inspired by” artists without any revenue-sharing agreements in place – from the top of the Google search rankings. “Talk to any merch company and mention this, and you’ll get a rolling of eyes and a big sigh. But we’re now doing a lot of work to see if we can push them out of those top search results,” he says. 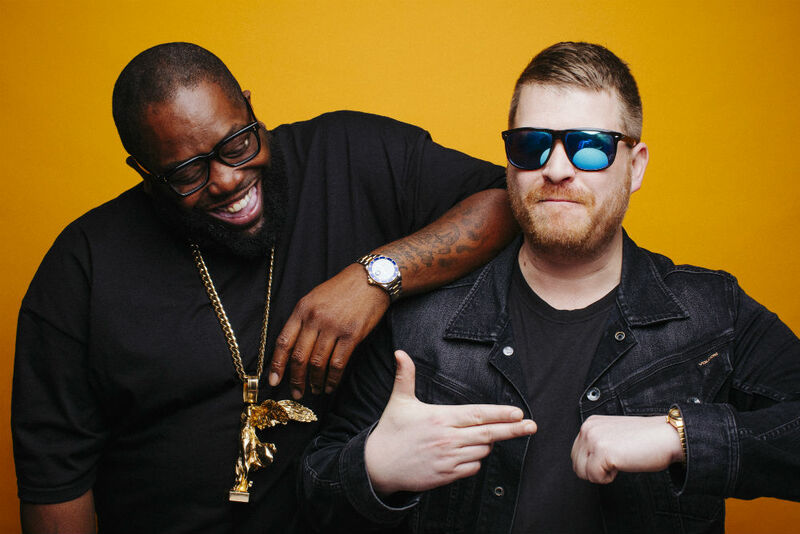 Hemmings flies the flag for experimentation as part of all this, noting that the success of Run The Jewels’ online marketing campaigns created a challenge: the band’s team “had no sense of where the sides were” in terms of campaigns not working. “We deliberately started running ads going more and more out-there in targeting, and eventually an ad campaign failed,” he says. Artist control of their marketing budgets is key to this, and it’s control that has fuelled Hemmings’ criticism of Spotify in recent years, although he is keen to stress that he wants to be a constructive critic, and that he likes and respects many of the people working at the streaming service – his former Motive Unknown colleague Lucy Blair is now part of Spotify’s artist and label services team, for example. And yet: “But what I have a big problem with is the control. Mark Mulligan wrote it: Wall Street needs a narrative, and that narrative has to be ‘We don’t own the content, but we own the access to it, and the editorial stance we’ve taken nurtures that’. It’s just not good, is it?” he says. As one example, Hemmings cites Spotify’s announcement recently that it had generated $40m in ticket sales in 2017 through its Fans First initiative, which offers pre-sales for concerts through targeted mailouts to the keenest fans of artists. “It’s another example of Spotify doing something that, frankly, bands should be doing themselves. And then selling it back to the bands as a benefit, as if it’s something the band couldn’t achieve without a relatively-small effort themselves,” he says. 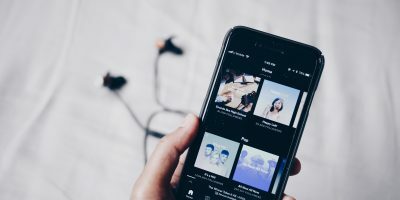 Hemmings compares Spotify to platforms like YouTube and Facebook, suggesting that the latter two make it far easier for music marketers to understand how their spending is paying off. “I can see what the cost was to actually have a view of a video on YouTube. I can tell you how long people watched for. I can even tell you what they went on to watch afterwards. It’s a very crisp sense of how people have interacted with this whole thing,” he says. There’s more. Hemmings thinks Spotify feels more like the mainstream music retailers of yore – the HMVs and Tower Records – than the independent record shops he used to frequent. “I’m aware of the monstrous irony of this statement, but if Spotify is like HMV, it’s YouTube Music that feels to me like your brilliant indie shop,” he says. YouTube as a plucky independent record store to Spotify’s HMV? That’s something that’ll make a fair few people choke on their tea, but Hemmings thinks the culture of YouTube has something that Spotify is lacking. “How limited a service is it, if everything is just curated by the people in-house? You don’t bring the variety or chaos in. YouTube is absolutely chaotic, and that’s why kids love it: anyone can rise up and be a figure on there,” he says.